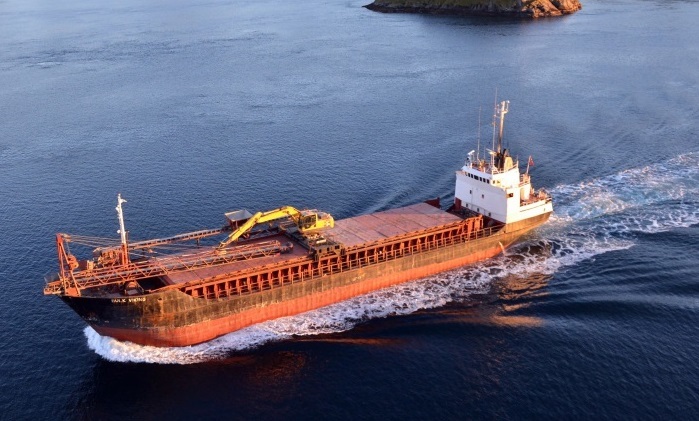 The general cargo ship Bulk Viking ran aground off Offersoya in Norway. The vessel was en route from Narvik to Kobbvaagen, but after blackout stuck on reefs southwest off the coast of Offersoya. During the accident the ship suffered serious damages to her rudder and lost maneuverability. The accident was reported to the local authorities and at the scene were dispatched two salvage tugs, which refloated the general cargo ship and take her on tow to Harstad. There were no other hull damages to the vessel, as probably the grounding was just bottom contact. The vessel will be docked at Harstad for repairs, but before return in service should pass special survey and safety inspection. The local authorities initiated investigation for the root cause of the accident. Fortunately during the accident there were no injured people and no reported water pollution. The convoy successfully arrived at Harstad, where will be held the repairs, but current ETA at port of destination is still unknown. The self discharger general cargo ship Bulk Viking (IMO: 7232743) has overall length of 60.60 m, moulded beam of 9.70 m and maximum draft of 4.00 m. The deadweight of the ship is 945 DWt and the gross tonnage is 874 GRT. The vessel was built in 1972 by Hjorungavaag Verft in Norway.